will be instructing a Carbine Class near Denver on September 6-7, 2017. 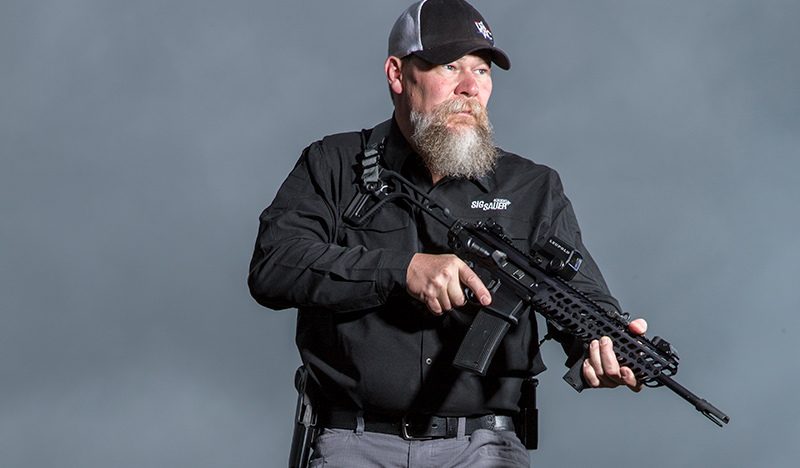 Rampart Training is hosting Kyle Lamb of Viking Tactics and Guns and Ammo TV to instruct a two-day Pistol Caliber Carbine Course on September 6 and 7, 2017. Contact us for more information at danielp458@yahoo.com. This course is for operators, competitors and those who want to master their carbine. Class is limited to the first 15 shooters to register. Individuals must pay at the time of registration. LE agencies may want a purchase order and we can work with a PO system. Email us at danielp458@yahoo.com to register. The two-day class will be held at a private range in Douglas County, south of Denver. We will have a debriefing session with Kyle at the Predovich residence at the end of day two. This will give shooters a chance for photo opportunities with Kyle. Also, Kyle will have some of his books available to autograph. Watch this blog at http://RampartTraining.com and Facebook page at http://www.facebook.com/ramparttraining for updates. Cost of the class is $500 per shooter. Visa, MasterCard, American Express, checks or cash. You may register and pay by calling Predovich & Company at 303-791-3000. 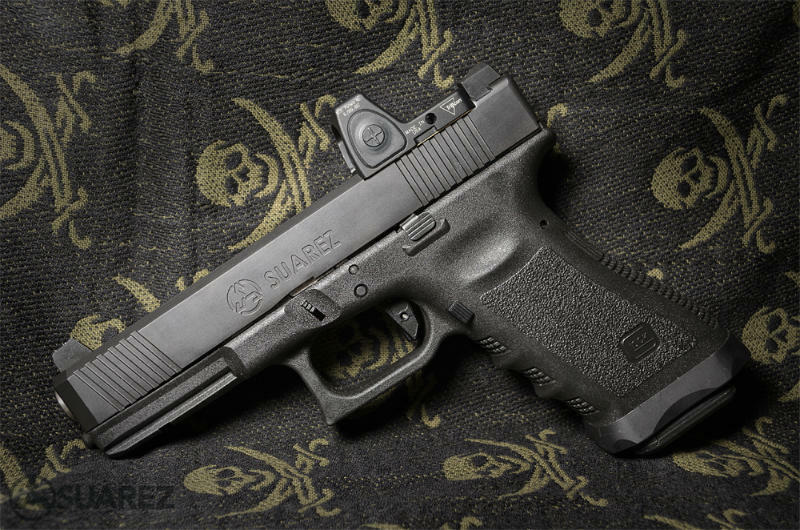 Suarez International has been a leader in reality-based pistol and rifle firearms training since 1995. Gabe Suarez started training as a means of bringing professional law enforcement techniques to civilians. "We call our students 'martial civilians' ”. "Our tribe is made up of those who seek excellence in life; in their families, faith, business, and physical fitness. We train to be ready to apply violent force to any threat, whether a common thug or an active shooter situation which, in our time, are increasing in number and severity." "If you seek the type of training that is gritty, real, and combat proven; the type of training that has just one goal - to win the fight - then welcome to the tribe! We have classes all over the USA taught by instructors personally trained and vetted to teach this amazing and modern curriculum." Visit Gabe's website at www.suarezinternational.com for more information about Gabe, his classes and his custom firearms. Gabe will be instructing a three day Red Dot Optic/Carry Optic class on July 28, 29 and 30, 2017 at a private range south of Denver. The facility is about 30 minutes south of Denver and 60 minutes from Denver International Airport. Lodging is available and is specified on the Suarez website indicated above. Gabe's website suggests a minimum of 500 rounds. I suggest that you bring twice that amount. Cost of the three day course is $500 and you can register at www.suarezinternational.com. If you have questions, you can call Dan Predovich at 303-815-2751 or email Dan at danielp458@yahoo.com. Space in the class is limited so register today. The range is a well equipped, outdoor, private facility with a covered firing line. Registrants will be sent specific directions to the range and an equipment list. We have a limited number of Red Dot equipped pistols that you may rent for the class, but you must reserve those well before the class dates. Restaurants are within 15 minutes of the range for lunch breaks or you can bring your own lunch. Concealed Handgun Permit Class -- On Sunday, June 25th, we will be hosting our one day CHP class from 9 am to about 4 pm. The morning classroom session will present the legal aspects of concealed carry and use of force. 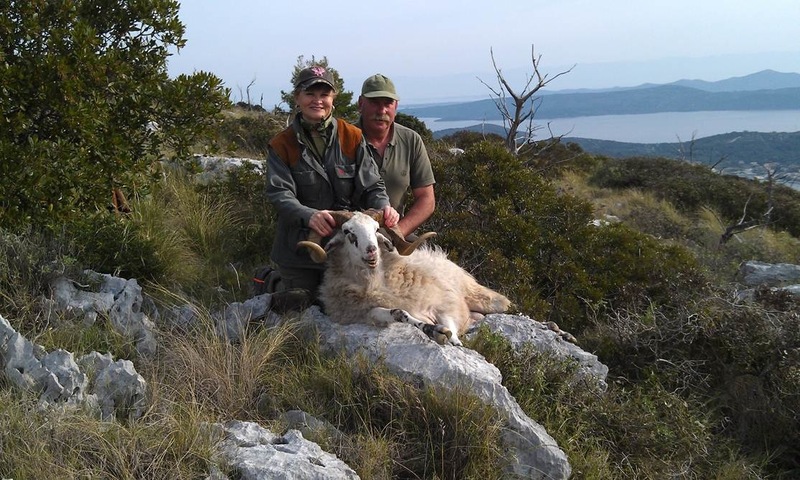 The afternoon session will give attendees the opportunity to shoot on a private shooting area under the guidance of very experienced instructors and professional shooters with significant law enforcement experience. Call Mary Predovich at 303-550-6016 for information on this great opportunity to learn from the best. 2016 Kyle Lamb Tactical Pistol Course...watch this video! Join us on July 25th and 26th on a private range south of Denver. Go to www.Facebook.com/RampartTraining for details. Some video from the USPSA Nationals of Nils Jonasson...fun to watch. Dan Predovich Demonstrating the Speed Reload and Slide-Lock Reload. Magpul's new and very cool video! I've carried a sidearm as a law enforcement officer since the early 1970's in uniform, plain clothes and off duty. Seldom did I carry using an inside the pants holster. When I did carry IWB (inside the waist band), it was my Colt .45 auto in an old Milt Sparks "Summer Special". The advantage with Milt's rig was the metal band within the leather at the top of the holster that kept the mouth of the holster open to receive the reholstered pistol. Soft IWB holsters required two hands to reholster the pistol...cumbersome. Imagine trying to control a law enforcement situation while using two hands fumbling to insert your handgun into a soft IWB holster. The Summer Special was very popular because of this reholstering advantage. There are problems with the Summer Special that I found over the years. It was less comfortable than an OWB holster and it "printed" when worn under a light shirt. For the past few months my holster of choice has been the Cross Breed "Super Tuck Deluxe". I bought it a few years ago, but never tried it. It looked ungainly. A few months ago while digging into my holster stash, I rediscovered it and put it on. A hundred days plus later it is my favorite concealed carry rig. It is extremely comfortable and has the advantage that you can tuck your shirt around the inconspicuous belt clips. Thus your shirt can be tucked in or worn out of the waistband. It is more comfortable than most of my OWB holsters. The design is very clever. A flat leather piece lays flat against your body. A molded kydex holster is solidly attached to the leather. Two black metal holster clips are mounted to the leather and clip on your belt. Photos and details are available at www.crossbreedholsters.comwww.crossbreedholsters.com. The model I have will fit several guns: Glock 17, CZ Pro Tek, CZ 75, Glock 23C and other guns of similar shape and size. They offer several other holsters and I have one of their appendix rigs on order. The new Gun Digest Book of Concealed Carry by Massad Ayoob is excellent. I downloaded the electronic version to read while traveling and enjoyed the succinct style. This is the second edition and expands and updates the first edition. You can order this at Amazon.com. An organization for those carry concealed or open is usacarry.com. 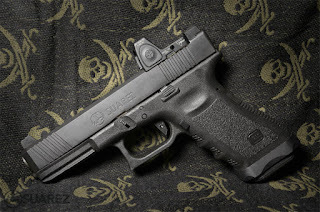 Members receive email updates on state carry issues and a good magazine. The website at usacarry.com is very helpful. Our tour of the IPSC National Championship matches starts in Cavaillon, France for the three day French National Championship match. We then fly from Marseilles, France to Vienna, Austria to compete in the Czech Extreme National Czech Republic Championship match. This is a video of the 2012 European Extreme Match in the Czech Republic. David and Mikayla Phelps, Kimi Wright, Mary Predovich and I are flying to Europe next week to participate in the IPSC French, Czech Republic and German National Championships. We have be practicing on our range and shooting in local matches to warm up for these big matches. IPSC has grown exponentially in Europe. The National matches have 400 to 600 competitors. 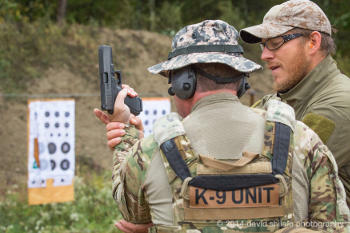 The IPSC rules are different from the United States USPSA rules. We will get into that later. Folks have asked us to keep our Blog and Facebook Page up to date during our trip. Fortunately our good friends at Airways 360, Richard and Leslie Allen and David McElyea have offered to help us with this project. with our travels via photos, video and words. Our long time business associates and friends Richard Allen and his folks at Airways 360 will introduce themselves. Dan is shooting the stage called "Not Quite There" at the USPSA Championship in Grand Island, NE in August. A pulley on the left side pulled with the right hand opened a window to engage a variety of partially concealed targets arrayed from 3 yards to 20 yards away. Center targets had to be engaged around various obstacles that can't be seen here. The right side window was a mirror image of the left side. Please go to that page for the quickest postings of video and photos. We will post some of the videos on this blog at a later date. Copy and paste the address below into your browser to go to our Facebook page. RE/MAX China in the Movies! RE/MAX of China...Another day at work! We spent a few days with Bill and Joyce Wilson on their Circle WC Ranch in Texas. Go to www.circlewcranch.com for more information about this great facility. 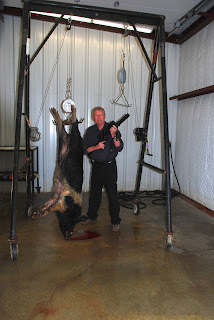 Before the hunt Bill showed me this Meopta 1-4 telescopic sight installed on one of his AR15 carbines. I played with it on his carbine shooting range. I found that it is a very quick-to-acquire optic that has more potential utility than the Eotech that I currently favor on my CQB AR15 platform weapons. The Meopta is a true one power optic that allows great field of view especially if you shoot with both eyes open. The illuminated reticle is very crisp and clear. I took this 228 pound hog with my Wilson 6.8 SPC II AR15 carbine. It is equipped with a Trijicon telescopic sight and a Wilson Whisper suppressor. 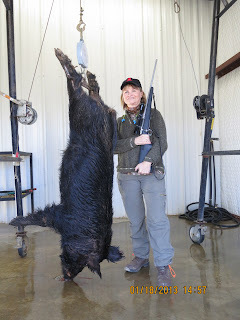 I used the Wilson 6.8 SPC II ammunition with the 110 grain bullet. 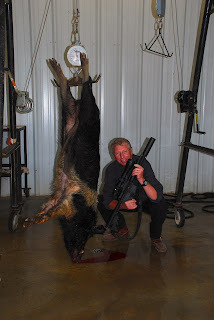 This round is very effective on these tough hogs. I used Night Optics D740 after dark.